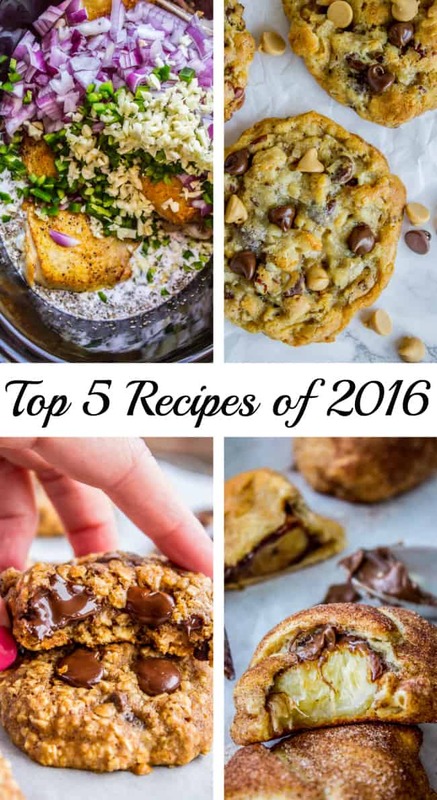 Top 5 Recipes on The Food Charlatan in 2017! 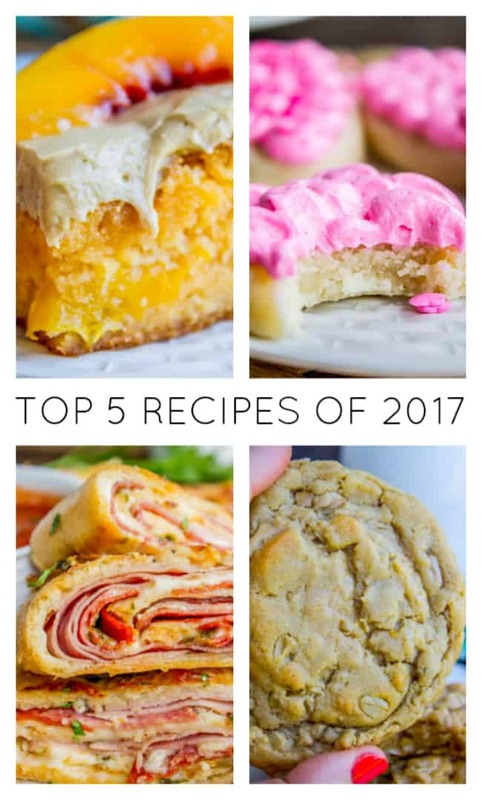 Here are the top 5 most popular recipes on The Food Charlatan from 2017! And can I just say, three of the five are cookies. You guys know where it’s at. Happy 2018! How’s the year so far? We brought in the New Year by throwing boiling water in the air. For real. We were up in northern Montana for the holidays, visiting Eric’s family. It is a FROZEN TUNDRA up there basically. Several days we were there, the temperature never got above zero degrees, and one night it got down to -49 with the wind chill. NEGATIVE FORTY NINE PEOPLE. I didn’t leave the house for days. Well are you ready for the count down? It’s always so fun to see what you guys liked the most out of the hundreds of recipes I posted. Here we go! I’m so happy that this cake made the top 5! The cake is SO easy (I adapted it from this Blackberry Cake with Cream Cheese Frosting, another huge favorite). It has such a fun peachy flavor from the jello. (Jello!? I know, right??) It may sound weird, but trust me guys. The edges are the best part, they are so chewy. No wait. The brown sugar frosting is the best part…don’t make me choose. I looooove stromboli. 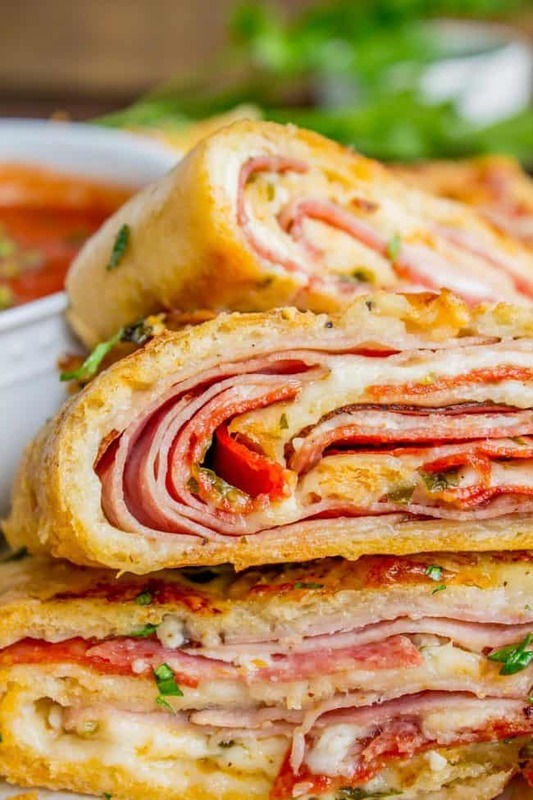 What’s not to love about a pizza rolled up into a log and baked? Nothing, I say. Just look at all those layers of pepperoni and cheese. YUM. These cookies are addictive! 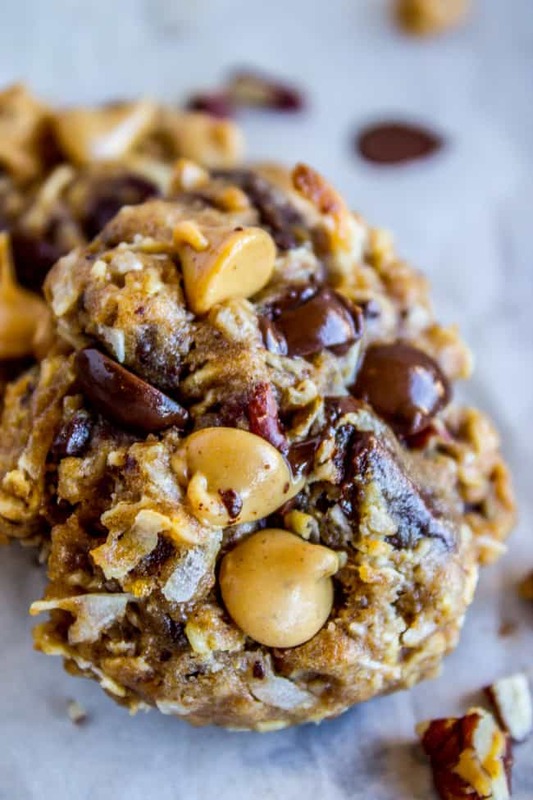 They have TONS of peanut butter flavor and the oats add the perfect level of chewiness! You have to try them! So easy. I can’t eat just one. 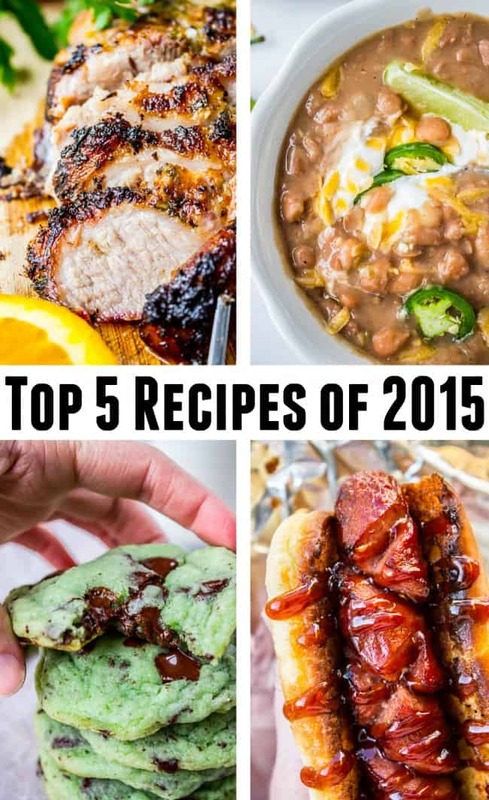 Hundreds of people made this recipe for Christmas this year! It was fun seeing all of your photos! You can see dozens of reviews and photos here. 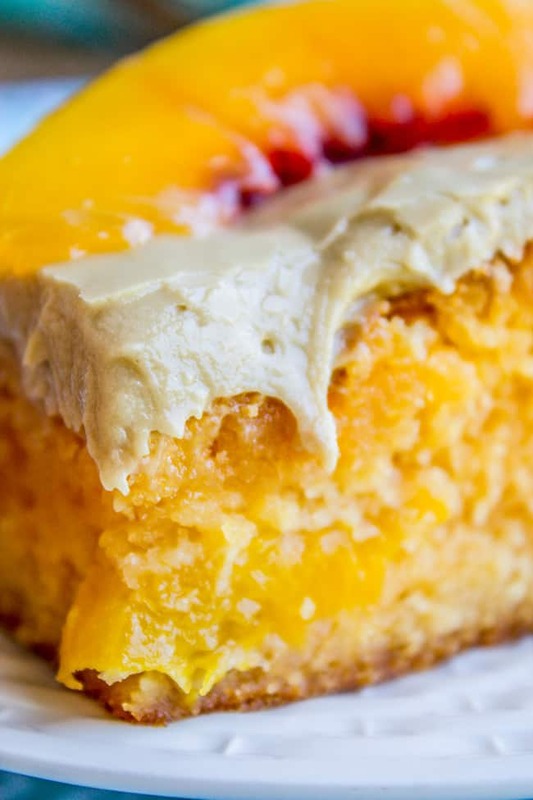 This recipe has cream cheese in the dough (not the frosting). They really are the best sugar cookie I’ve ever made or eaten in my life. 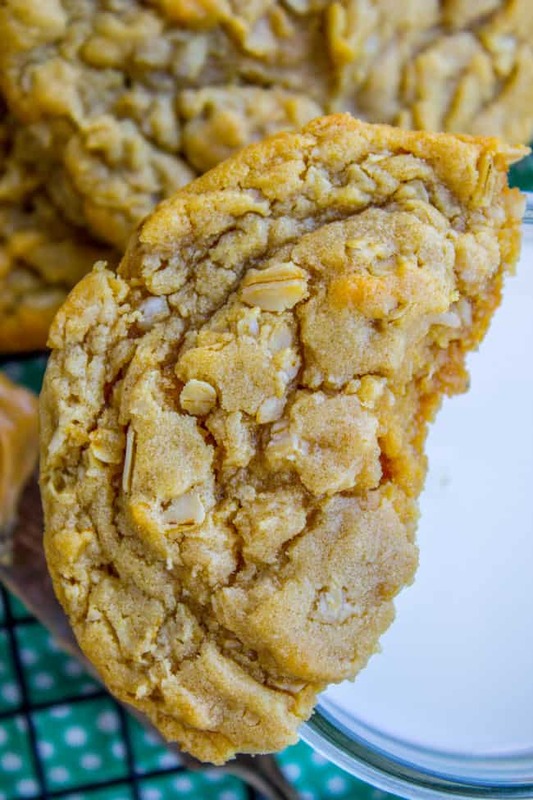 If you read all the tips and tricks and don’t over bake, you will get the softest cookies you’ve ever had, with tons of flavor and the most amazing buttercream frosting. Try it out! Just for kicks, here are the runner ups for 2017. 10. One Hour French Bread << I never make double rise French bread anymore. 9. Asian Seared Chicken with Stir Fried Green Beans << this is a good January recipe! Healthy and stuff! 8. How to Bake Bacon in the Oven in 12 Minutes << Please, don’t fry your bacon anymore! Bake it instead! No mess. 7. 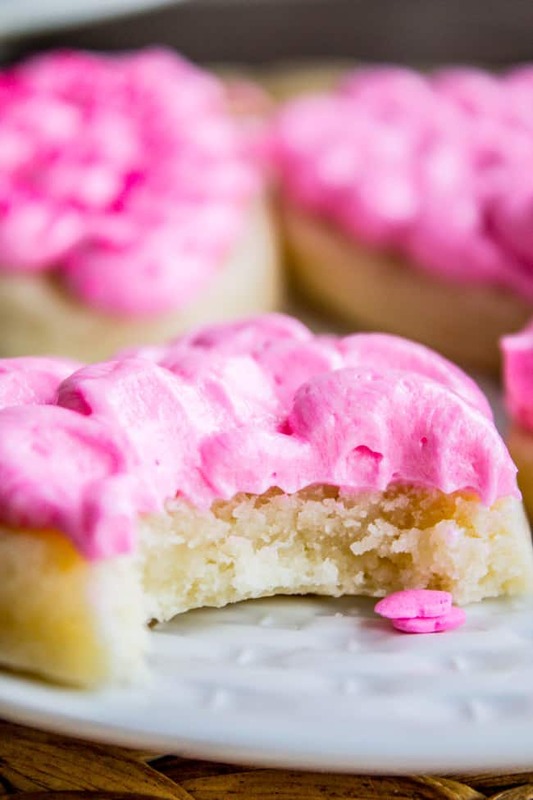 The BEST Buttercream Frosting for Sugar Cookies << this is the frosting I put on The Softest Sugar Cookies of Your Life. 6. Nana’s Famous Fudge Brownies << This is my husband’s grandmother’s brownie recipe… it’s so rich! It’s ridiculously good. And that’s it! Here’s to 2018 and more delicious food!! 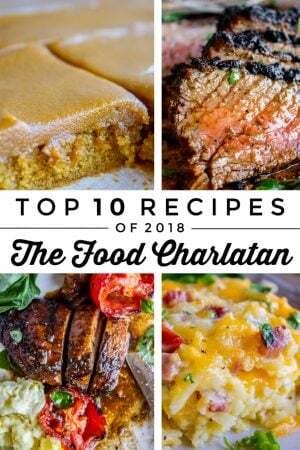 Be sure to check out the Top 10 Recipes of All Time for The Food Charlatan, I just updated that page. 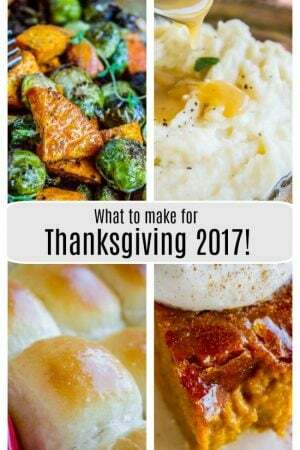 What You Should Make for Thanksgiving! 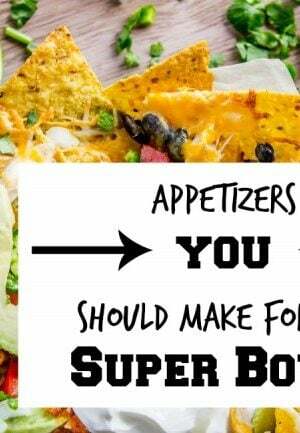 Appetizers You Should Make For the Super Bowl this Weekend! 2017 was an amazing year. I made all the 5 recipes you described. Expecting another awesome year from you. Best of luck! Another delicious year…and I think it’s hilarious (and spot on) that cookies steal the show. Naturally. Your source cream twists recipe is my very favorite recipe. 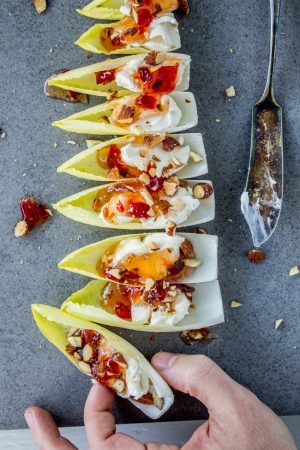 My whole extended family passes this recipe around. They’re the best! I’ll have to try the ones on this list soon! Thank you. 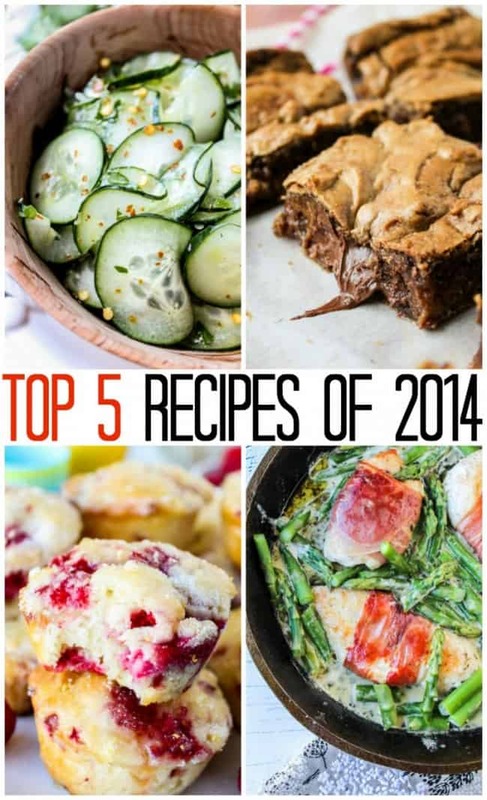 All of the top 10 recipes look delicious! On my bucket list for 2017 is to make good brownies from scratch. I might try your recipe!